Some of our most satisfied customers have the need to work with a company that is able to handle diverse tasks within a facility. Whether it is for ease of billing or security clearance, the bottom line is that companies across the country are going to fewer vendors that can do more for them. AAIS is perfectly suited for that type of customer and understands that certain projects must be completed during a shutdown period or at a moment's notice. Not only are we reliable and hard-working, but we have varied skill sets throughout our company. 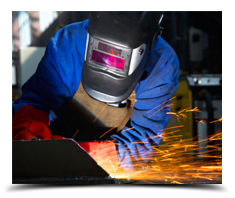 Any welding need is easily handled, as are the following: Structural and All Iron Work, Fabricating, Mechanical and Electrical Repairs, Excavating, Concrete Forming and Finishing, Ductwork, On-site Manufacturing and Many Others. Some claim to be welding specialists, at AAIS we truly are. Whether you need TIG, MIG, STICK, ARC or even THERMITE welding, we are one of the few companies in North America that is capable of them all. 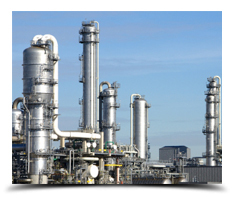 AAIS can help you with a variety of fabrication needs. From design to finished product our team can provide you with the solution your organization seeks. AAIS has a fully functional facility located in North East Ohio that is equipped with any piece of equipment your fabrication project may require. We can assemble parts for you or fabricate what you need from scratch. From metal canopies, conveyors, maintenance platforms with handrails, ductwork to intricately detailed gears and parts, AAIS can provide what you're looking for. 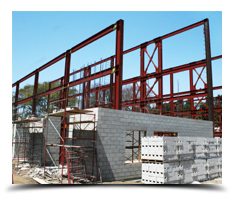 Our services for Steel Structure Buildings are outstanding. We can provide equipment and structural steel for new construction/expansion, companies that are moving / relocating, or need to remodel. Our service technicians not only provide expert advice, they are able to take on difficult tasks and projects with as little or as much supervision that you want to provide. We've worked on small and large scale projects across the country. We've worked directly for the owners as well as with General Contractors. No matter what or where you next project is, contact AAIS today and find out how we can help you come in on time and under budget. What sets AAIS apart from other welding and maintenance companies is our ability to perform the same tasks we provide at our facility in the field. 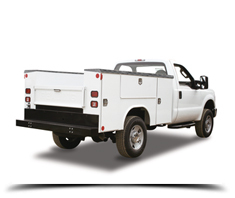 Our service trucks are fully equipped to handle any challenge that can arise at your facility. AAIS's shop is available to our crews 24 hours a day, 365 days a year to provide any type of support needed to get your project in the filed completed on time. We stock a large variety of inventory so we are always prepared for your needs at a moment's notice. AAIS also offers a wide range of rigging services and can provide the equipment, man power and transportation in order to facilitate the move of your equipment or machinery quickly and safely.